Over the past few years, DeAddictionCentres.IN has grown to become the primary location for people to find information about Indian De-Addiction Centres online. 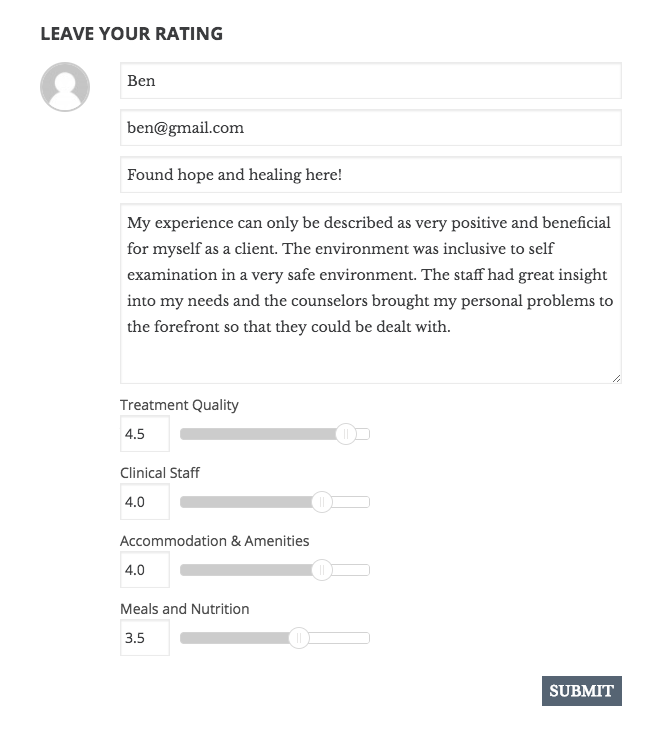 As we’ve grown, we’ve continued to make improvements in order to provide the information necessary for people to find de-addiction centres for themselves or their loved ones. An exciting improvement we are launching this week is a brand new review platform. 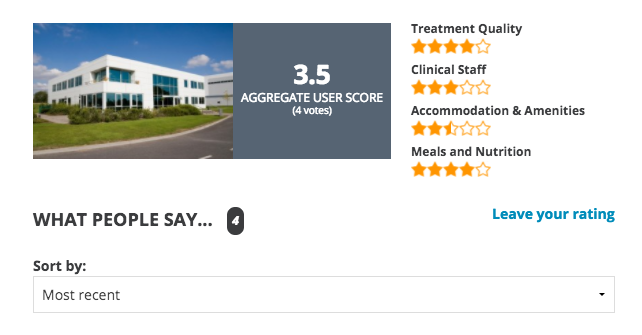 This is a major upgrade from our previous platform, allowing you to rate a center on 4 important criteria. This data is then presented in such a way that people comparing centers benefit immediately. An important note. If you’ve left a review for a center in the past, there is a good chance your review will not be transferred to the new system. Our new, richer rating system is incompatible with our previous 5-star simplistic review system. So, if you would like to leave a review for a center that you or your loved one have been to, please do it! Those who have received treatment from the centre being reviewed. Family members or friends of loved ones who have received treatment at the centre being reviewed. Members of the community who are personally familiar with the centre. Anyone employed or on staff at the centre being reviewed. Current clients at the centre. Those reviewing from a client perspective must have been out of the program for at least one month. Below is an example of it looks like to leave a review. We are so grateful to be able to serve the addiction and recovery community throughout India. Your reviews help us surface the best rehab options for the hundreds of thousands of families suffering from the blight of addiction.